On the 12th of October I bid San Francisco goodbye. As my friends and family know I applied for the H1B back in April, with the hope of staying in the States for at least another three years. Over the last few years there has been a huge demand for H1B visas and this year was no different. With over 200,000 applicants and only 60,000 visas available all applicants were entered into a lottery. Unfortunately for me and many others I was unsuccessful. Instead of going home straight away I decided to spend a month traveling North America. First stop was Vancouver, Canada. I have a good few friends from home living in Canada. Unlike America, work visas to Canada are easier to obtain. This was my first time going to Canada and to be honest I didn’t really know what to expect. As the friends I was staying with had work during the day I kept busy doing touristy things. Over the 9 days I visited the aquarium, biked around Stanley park, drove to Whistler, visited Grandville Island and the Capilano Suspension Bridge. A friend suggested that doing a bus tour would be a great way to see the city. The company I went with was WestCoast Sightseeing. There were 20 stops throughout the trip with a pre-recorded audio guide. The one-day ticket was $42 (CA). Highlights of the tour were Gastown, Stanley Park and Chinatown. You could hop on and off the bus throughout the day. I stayed on the bus all the way round and then got out at the Dr. Sun Yat-Sen Chinese Gardens in Chinatown. Entry to the gardens was $12 (CA). While the gardens were interesting and I got some great pictures there wasn’t a lot to see. I first visited Stanley Park with a friend from college. We rented bikes ($9 per hr) and cycled around the outskirts of the park. It was a great and easy way to see the cities skyline and see a good bit of the park. On another occasion I walked around the park visiting areas that bus had stopped at during the tour. My two favourite spots in the part were the Totem Poles and Prospect Point. The Totem Poles are 9 beautifully carved, red cedar portals located at the Brockton Point Visitor Centre. Prospect Point is located at the highest point of Stanley Park. After the walk up you are rewarding with a spectacular view. 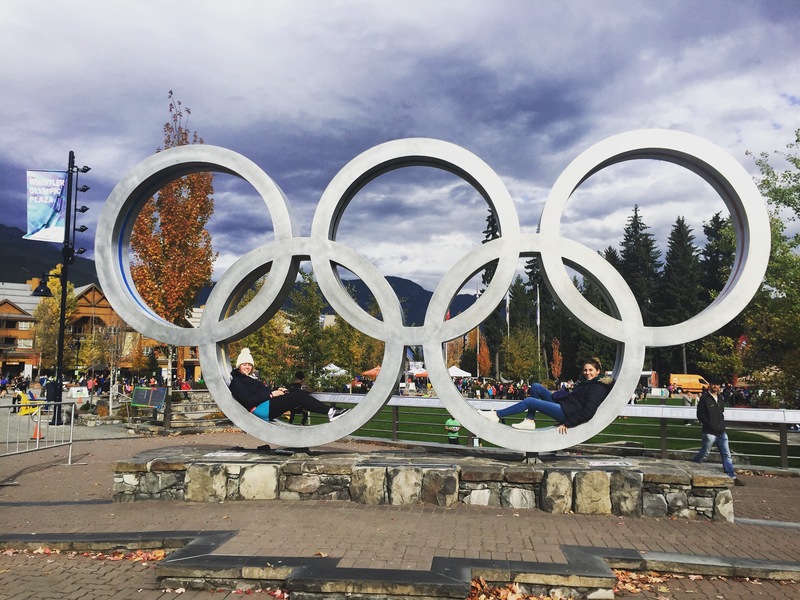 The only thing I knew about Whistler was that the Winter Olympics was held there in 2010. A friend I was staying with had never been before so we decided this was the perfect opportunity. We rented a car and drove up to Whistler. Since there was three of us this worked out cheaper than the bus and we also could be more flexible on our times. The short hour and a half drive up was beautiful, that being said it would not be a drive I’d like to do in the snow. When we arrived we discovered that the ‘Peak to Peak’ gondola we had hope to do had closed 3 days previous until the winter season. After wandering round the small village we set off on a walk. We did the ‘Lost Lake Trail’, it brought us around a lake (surprise surprise) that was calm and picturesque. The trail took approximately 2 hours. I think my favourite part was the drive back. We left relatively early, giving time to stop at the recommended viewing points and take photos along the way. I would definitely like to visit Whistler again, possibly even to go skiing! The Capilano Suspension Bridge is 140 metres long and 70 metres above the Capilano river. Entry to the property is $38 (CA) which is quite pricey. There is a free shuttle available over the bridge and depending on your driver the journey should be narrated pointing out places of interest. If I’m honest the suspension bridge was a little bit of a let down, there really wasn’t much to be excited about. I preferred the complementary tour I took of the grounds that identified each of the trees and informed us of the wildlife in the areas. The treetop walk and cliff walk were really cool and probably the highlight of the property for me. I really enjoyed my time in Vancouver catching up with old friends and exploring what the city had to offer. A place a recommend everyone should visit!